The preliminary National Climatic Data Center analysis shows that the U.S. national average temperature was 1.2° above normal in the week ending August 18, with the month-to-date average 1.5° above. 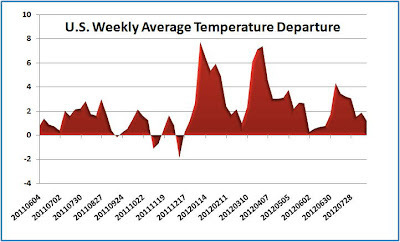 As was the case in the previous week, the East North-Central region was below average, and the cooler temperatures spread into the Central and West North-Central regions. 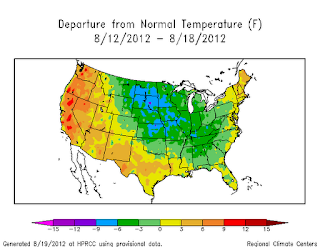 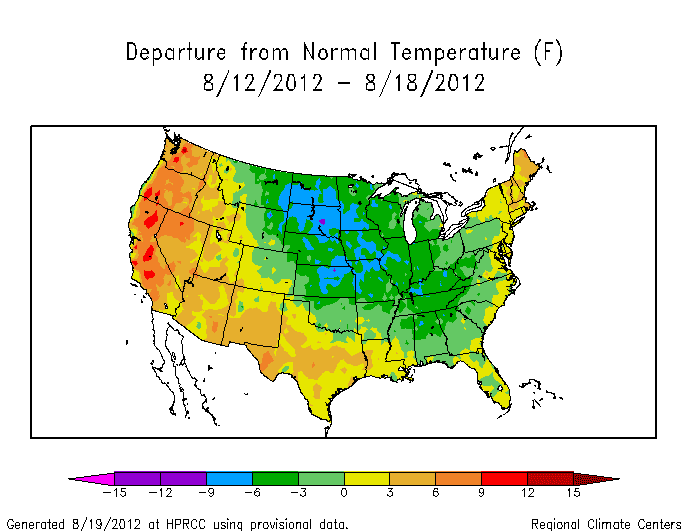 However, the other 6 regions remained warmer than average.